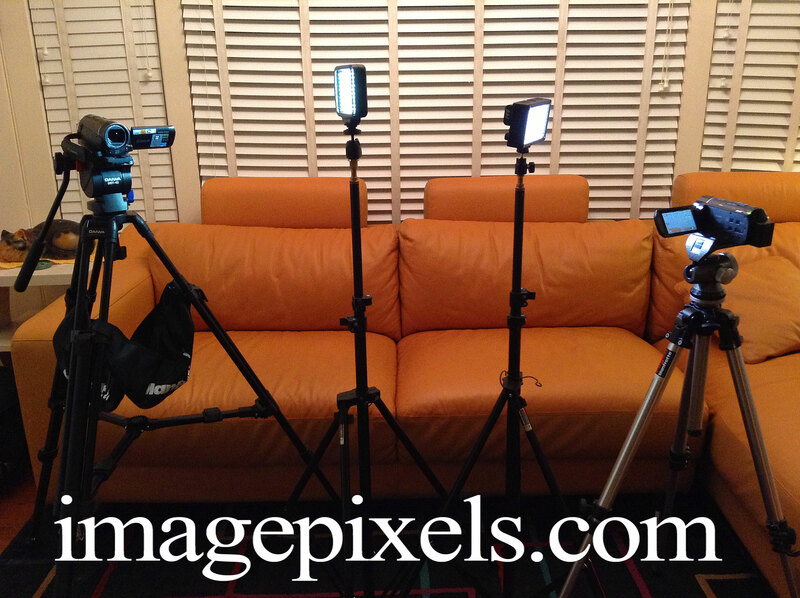 Cameras are ready for an interview for the current project. Two Canon Vixia camcorders, two lights with light stands, two tripods. EQUIPMENT: Canon Vixia camcorders-HF M50 and M500. The M50 has a 8GB hard drive, the M500 uses SD cards only, no internal storage. LED video lights-Vidpro Varicolor 144, Vidpro K120. Zoom H2N recorder for two system sound, and a Rode SVM microphone on the camera accessory shoe ( Pearstone CSA-II Shoe Adapter) for better quality sound. The two lights were nice to have. When I have the time, I’ll upload the video I shot and add it to the post. (Don’t hold your breath. I need to finish several things before I have time for that). Sorry.